Ravi Shankar Prasad highlighted a media sting on Popular Front of India, a Kerala-based Islamic party, and also referred to 'love jihad' as he demanded a probe against its leaders. Ravi Shankar Prasad said CBI should investigate what the media report has highlighted. New Delhi: Terrorism and radicalisation have acquired menacing proportions in Kerala, the BJP said today, adding that these issues of national security were being "sacrificed at the altar of vote bank politics". Union minister Ravi Shankar Prasad highlighted a media sting on Popular Front of India (PFI), a Kerala-based Islamic party, and also referred to 'love jihad' as he demanded a probe against its leaders. He said they should be dealt more severely than Hurriyat leaders, who are being probed by the National Investigation Agency (NIA) for terror funding. Hurriyat is an umbrella organisation of many separatist parties in Kashmir. The sting, Mr Prasad said, has caught PFI founding members saying that they received funding from abroad and had converted over 5,000 persons to Islam, and an Islamic state was their final goal. "You in India are running a terrorist group with an aim of making an Islamic state by taking funds from abroad. Young sons and daughters are being radicalised for this. It is a very serious threat to the national security," he said. The Information and Technology minister said the NIA was looking into cases of 'love jihad', adding that the agency should also investigate what the media report has highlighted. 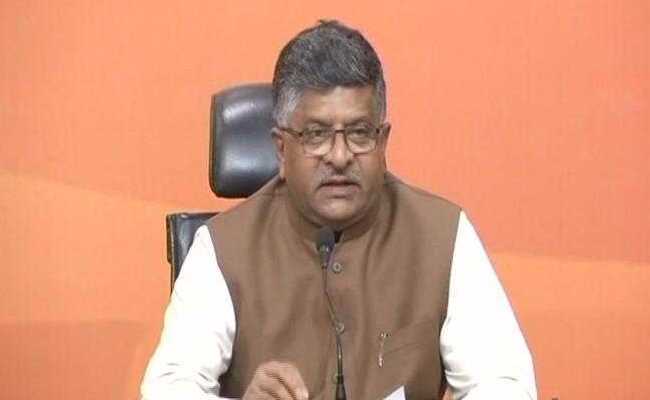 Prasad also made a reference to an alleged case of 'love jihad' being heard by the Supreme Court, which has ordered an NIA probe into the matter, and attacked the Left-led Kerala government's contention in the court that there should be no probe in the matter. The BJP, he maintained, was of the opinion that people can voluntarily convert but there should be no use of inducement, allurement or fear. Due to the PFI's activities, life of common citizens of Kerala is under threat, the Union minister claimed, urging the state government to take pro-active measures in this regard. "If the Kerala government maintains silence on the issue, we will have to say that it is sacrificing national interest at the altar of vote bank politics," he said. 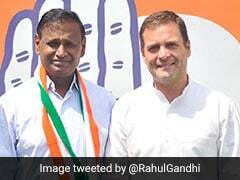 He also asked Congress chief Sonia Gandhi and party vice president Rahul Gandhi to speak on the matter. The BJP has taken up the issue of "jihadi terrorism" in Kerala in a big way. The party looks to widen its appeal in the southern state ahead of the 2019 Lok Sabha polls. The saffron party has been traditionally weak in Kerala and could not win any seat from the state in the last Lok Sabha polls.